The task of the kindergarten teacher is to adapt the practical activities of daily life so that they are suitable for the child’s imitation through play . . . . The activities of children in kindergarten must be derived directly from life itself rather than being “thought out” by the intellectualized culture of adults. In the kindergarten, the most important thing is to give children the opportunity to directly imitate life itself. In our younger mixed-age class, "friends" enroll for 3 days a week. In our mixed-age class, "friends" enroll for 5 days a week. As a state-approved kindergarten program, students enrolled in kindergarten attend 5 days a week. Learn more about enrolling in our Early Childhood program here.  Read how Waldorf Education speaks to the experience and development of kindergarteners here.